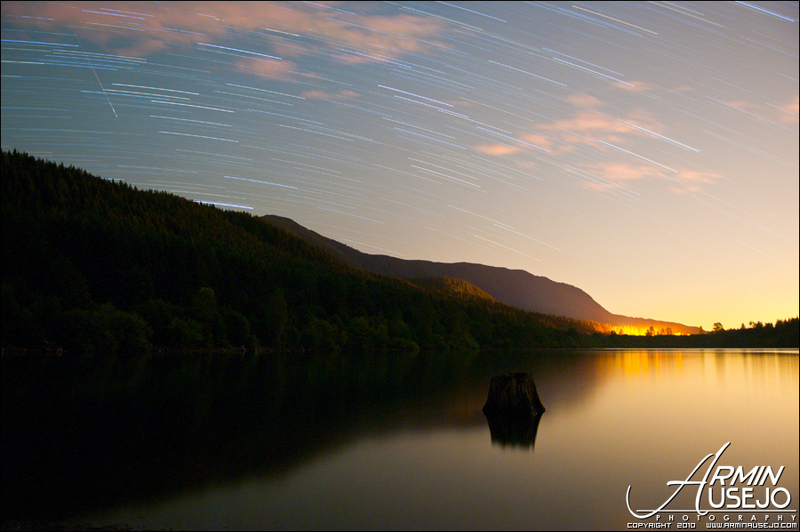 After two straight days of disappointment from staying up very late during the weeknights to capture the Northern lights, I had high hopes for this week’s Perseid Meteor Shower. As all of my friends know, I’m a big astronomy buff and the only thing that kept me from pursuing a career in astronomy was my hatred for higher level mathematics. 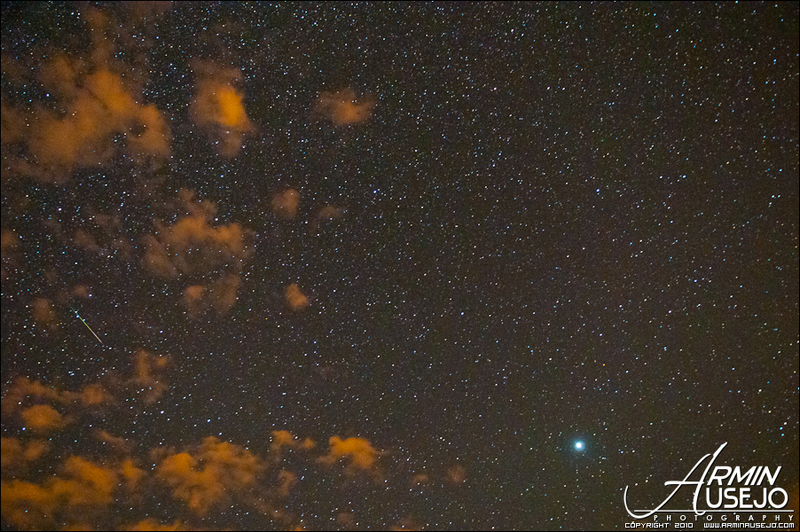 This year’s shower was said to be one of the best in a long time, so I was determined to go out and see it. 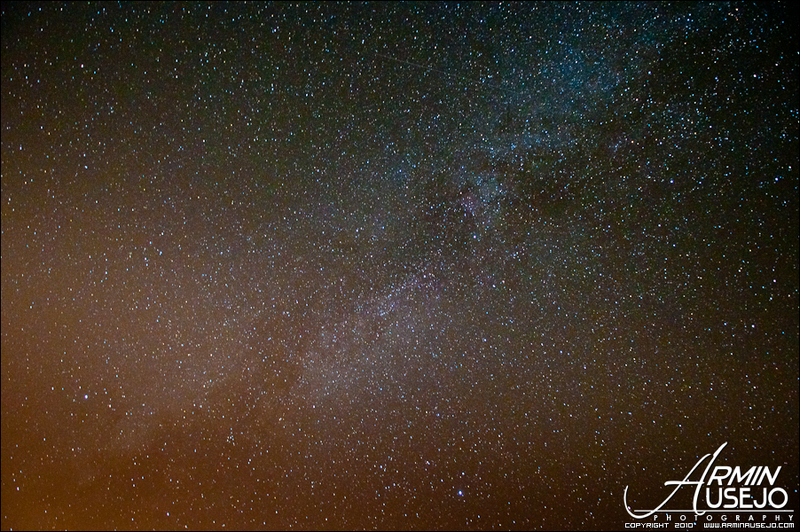 Thankfully, my friend Sasha volunteered to drive and my cousin Wence and my friend Kyle wanted to go out and see some shooting stars as well, so I had a nice little group to keep me company. 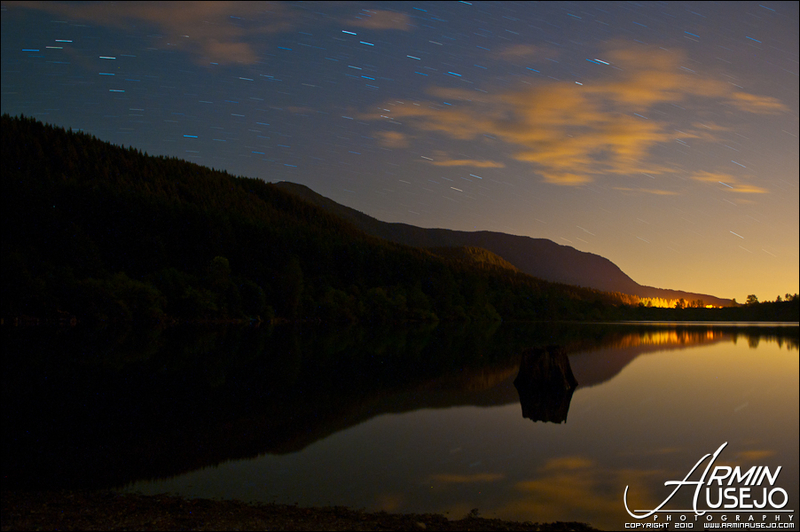 We decided to head east and found a nice dark spot at the edge of Rattlesnake Lake, just south of North Bend, WA. 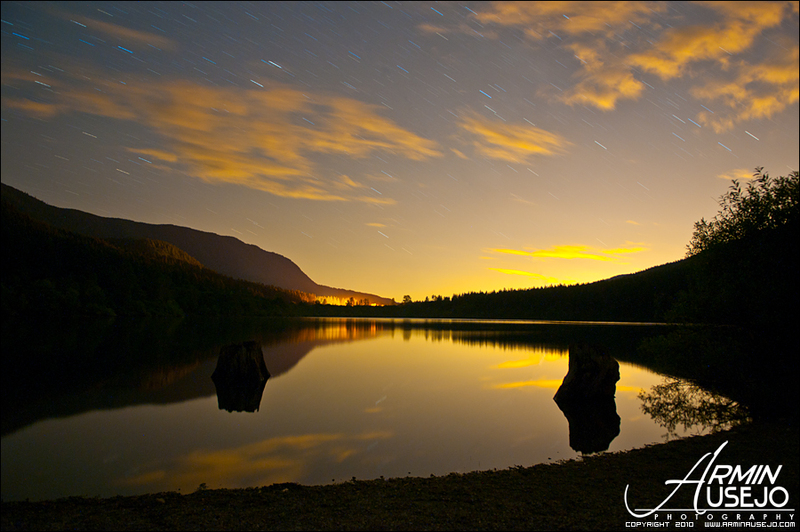 Rattlesnake Lake itself was gorgeous at night, taken in these two captures that both lasted 5 minutes. 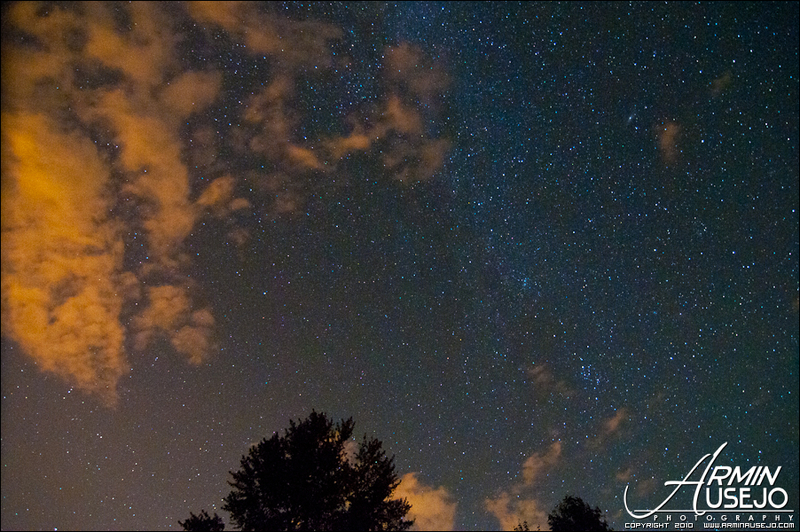 This was facing south, with the ambient light most likely coming from a parking lot in the distance.